Our professional companions provide assistance for the "activities of daily living" (often referred to as ADLs). Assistance with these types of daily routine needs provide family members the opportunity to spend quality personal time with loved ones when they are together. For many people, introducing a caregiver into the home may seem like an uncomfortable change, however, at CareBridge Home Health Care we do everything possible to make that change as smooth as possible. In fact, in some circumstances, clients can personally choose their NJ caregiver (certified home health aide) through personal interviews. 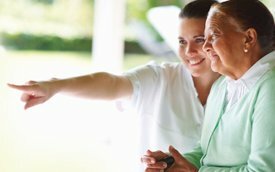 At CareBridge Home Health Care, our first priority is to offer exceptional home care to seniors in New Jersey. We want your experience with our companion care services to be stress-free and provide you and your family members a professional quality of care. Whether you are in search of hourly care or 24-hour live-in care, we offer compassionate, qualified, and dependable companions who will tailor care to match your needs. 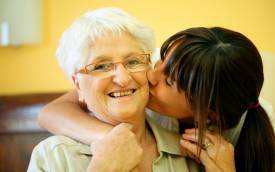 Our goal is to keep your senior loved ones at home in a safe and comfortable environment. We understand that aging individuals who are impaired sometimes experience a loss of freedom and separation from friends and family. 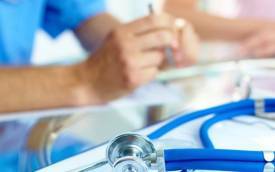 Our goal is to provide care that helps restore these fundamental needs and continue to improve people’s lives. The mission of our services is to provide you with a highly qualified and compassionate caregiver that is best suited to the interests, personality, and care needs of your loved ones. By following that approach, we endeavor to create a safe, healthy and stress-free well-being at home.